Airline and hotel programs are designed to get you to fly on their planes and to stay in their hotels. But we all know its not an exclusive relationship for many. While these programs are great for collecting miles and points for your low-cost travel, they are not the only programs you should be considering if you trade in your rewards for travel. There are two great credit card rewards programs that allow you to transfer points to airline and hotel programs. Chase Ultimate Rewards and American Express Membership Rewards allow you to stretch the value of your award travel. The Chase rewards program has a slight edge over the American Express one due to its flexibility. Not only does Ultimate Rewards allow you to transfer points to airlines and hotels, it also gives you a 20% point bonus when you book travel though its portal. Or you could simply redeem points for cash if you need to buy a ticket. You will always get a better value using these points for travel though, so resist the lure of redeeming them for cash. The Chase points transfer at a 1:1 ratio to the following airlines: British Airways, United Airlines, Korean Air, Southwest Airlines, and Virgin Atlantic Airways. Its hotel partners are Hyatt, Marriott, Ritz Carlton, and InterContinental. On the plus side, Ultimate Rewards provides an easy and usually instantaneous transfer of points to partners. And if you redeem the points for travel instead, the redemption rate is $10 for every 1,000 points. That’s a decent value proposition when combined with the 20% discount when you book travel on the Chase website. On the downside, the program has a relatively small number of partners and does not have any transfer bonuses. Also, not all Chase credit cards give you access to the transfer options. You must have a Chase Sapphire Preferred, Chase Freedom, or one of the Chase Ink business cards to earn those points. Membership Rewards offers a terrific value due to its versatility. The sheer number of partners makes it very attractive to travelers who are not loyal to one airline or hotel group. 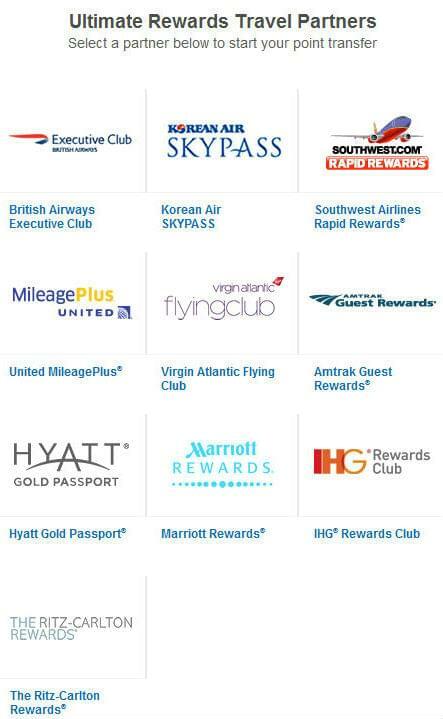 Aeromexico, Aeroplan, Alitalia, ANA, British Airways, Cathay Pacific Airlines, Delta Air Lines, El Al (tip: unreasonably high transfer rates), Flying Blue, Frontier Airlines, Hawaiian Airlines, Iberia, JetBlue Airways, Singapore Airlines, Virgin America, and Virgin Atlantic are all airline partners with Membership Rewards. Its hotel partners include Best Western, Choice, Hilton, Starwood, Sheraton, Westin, and others. The huge number of airline partners, and the booking options they represent, speaks volumes for Amex’s ability to deliver a flexible awards program to its customers. There are also regular transfer bonuses when you go through your Membership Rewards options. 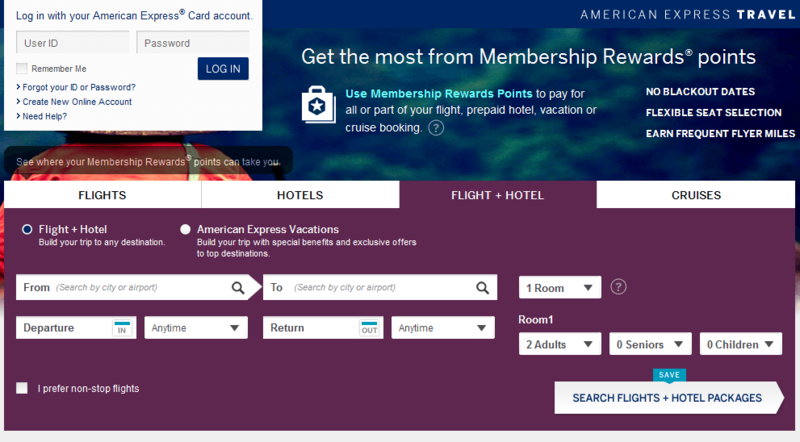 As for negatives, there is no way to redeem points for cash and the trade-in value for booking travel on Amex’s website represents a poor return on reward points. Just as Chase does with Ultimate Rewards, Amex limits accessibility to its rewards program to just a few of its credit cards. If you have a business or personal Green, Premier Rewards Gold card, or Platinum Amex card then you can earn Membership Rewards. If not, consider applying for Amex’s EveryDay card, it’s a new product that offers some good bonus earning opportunities with no annual fee.